John was born in 1943 to his parents Marshall and Jessie Melby and was raised in Madison, Wisconsin. He went to the University of Wisconsin where he earned a Bachelor's and Master's degree in Geological Sciences. He then worked in the Oil and Gas Industry for 47 years at various companies (Amoco Oil, Davis Oil, Apache Oil, Enron, and EOG Resources). He called EOG Resources home for the last 25 years, retiring last October. He met Barbara in college as she was one of very few girls into geology at the time. They married in 1967 and had two beautiful daughters, Karen and Jenny. Later in life he became Grampa to four wonderful grandchildren, Josh, Allison, Michaela, and Jonah. 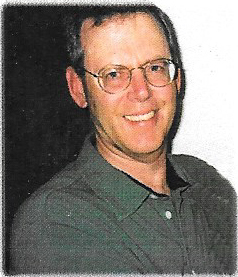 John was also involved in a variety of clubs; he was an active member in the North JeffCo Gem and Mineral Club, the Denver Orchid Society, the National Rifle Association, the American Society of Petroleum Geologists, the Wyoming Geology Association, and the Rocky Mountain Association of Geologists where in 2011, he was awarded the Geologist of the Year for his discovery of the Jake Well in Weld County, Colorado (the start of the horizontal drilling frenzy in Colorado and Wyoming). Besides working, he enjoyed many hobbies. He loved to fish, hunt and camp, grow orchids, make wine, ski, and scuba dive. He was also an avid mineral collector. During the summer, you would often find him on the top of Mt. Antero digging for aquamarines at his claim. You could also count on him faceting the many stones he found into beautiful cut gemstones. He was truly "A Man of Many Facets"